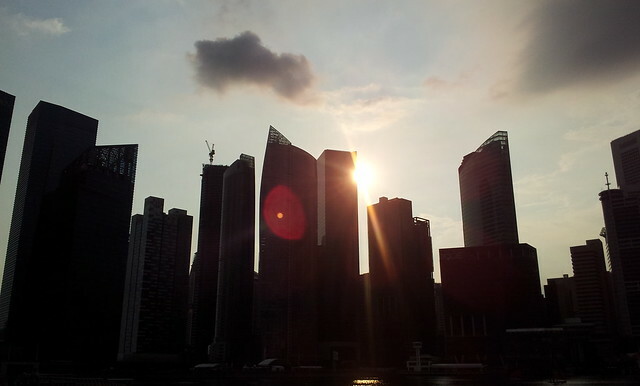 Sunset: Singapore City – Travelled light and did not bit any big camera with me, the Panasonic Lumix LX5 is still bulky to fit into my jeans pocket so I only had a Samsung Galaxy S2 with me when I was in Singapore. So yeah, I found out that from Marina Bay Sands Boardwalk, you can get a little view of sun setting into the skyline of Singapore City. So yeah, again, the effect is kinda cool, when there’s blue sky and nice twilight.